e.g. enabling proofing and selection of a proof profile. That can reduce repeating settings in each application. 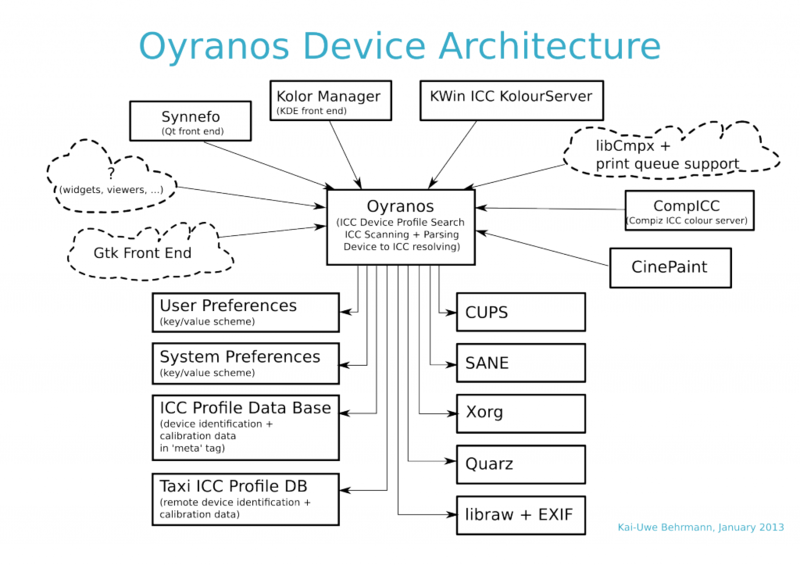 For Xorg colour management DDC information is detected through the X server. 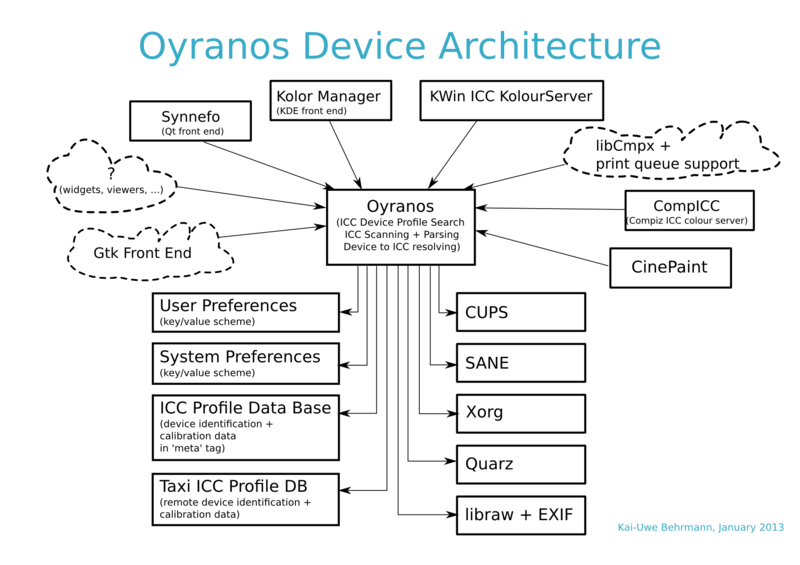 The Oyranos ICC profile is read or automatically generated from EDID and set to the X server by the first call into the Oyranos device ICC profile API, e.g. from the compiz colour server plugin or KolorServer. The embedded vcgt tag will be loaded by Xcalib into the video card if installed/supported. The compiz plugin or KolorServer+KWin can then instantly colour correct the desktop. Inkscape and Scribus will use the configured monitor profiles by using the ICC Profile in X spec.